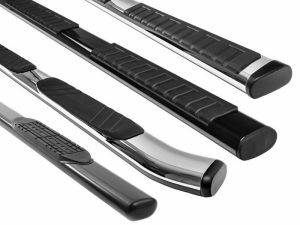 We have a wide variety of step boards & bars available for almost every vehicle on the road! We carry all the top brands like Luverne, Westin, TrailFX, Owens, and many more. Whether you want painted to match, stainless steel, or aluminum, we’ve got what you need. We also offer a full installation on all step boards & bars.